The months of July and August were renamed in the last century before Christ. They had been called “fifth month” and “sixth month” (like September, October, November, December; the year used to begin in March) but they were renamed for Julius Caesar and his adopted son Octavian, who was called Augustus. Augustus is related to augment; Octavian expanded the Roman Empire, so he received that name as his honorific. So August is a month named for Empire. And in this month the Church celebrates a kind of third set of high holy days. There is the season of the Nativity in winter, the season of the Paschal mystery in spring – and the heavenly mysteries of August. August reveals the awesome Empire of God. We talk about a kind of tension about how you define Christianity. We can call it the religion of the Incarnation: God has become man so that man can become God – and everything follows from that. 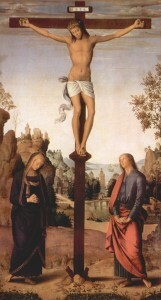 Or we can call it the religion of the Cross and Resurrection: by the divine power we pass through death to life. Each of these is an almost complete way of thinking about Christianity – and each needs some help from the other, to keep its balance. But we can also think of Christianity in terms of the heavenly mysteries of August – and indeed, a large part of the tradition does so. We can think about Christ – but we can also think about the Empire he builds. Earlier this month, we pondered the Transfiguration. It is a kind of manifestation of the Incarnation. But where divinity is hidden in weakness at Christmas, at the Transfiguration the divine light pours through Christ’s humanity. The Incarnation is revealed. The Transfiguration is a preparation for the Cross – a reminder that the one who goes to die is glorious in his divinity. The Transfiguration is a kind of summary of the Christian faith, a promise of the greatness of Christ. So too are the two Marian feasts that follow, the Assumption, which we celebrate today, and the Coronation, next week. The Assumption reveals the true Empire of God. I heard a fine homily today from a young priest about how the Assumption was “necessary.” (Friends, Thomists will remind you that our piety gets a little ahead of itself when we talk about divine “necessities.” God’s pretty powerful, and doesn’t have to do many things. But it’s okay, amongst ourselves, with several grains of salt, to think about how there’s a kind of connection among the mysteries that makes things sort of seem “necessary.”) The homilist said it was necessary that she whom God had preserved incorrupt through her life would be uncorrupted by death. 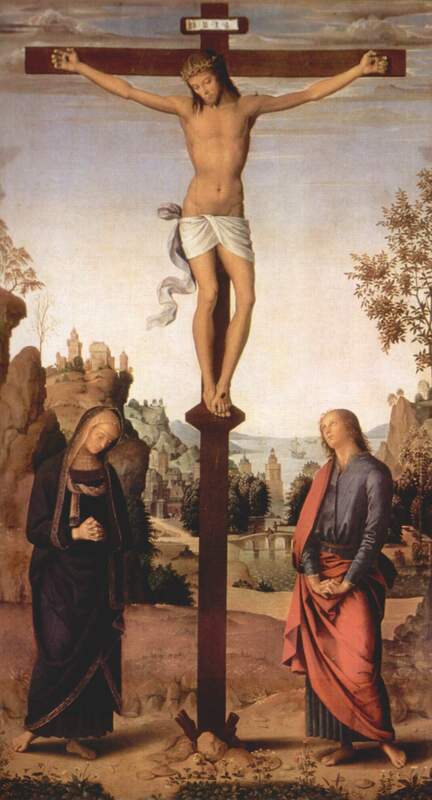 It was necessary that she who had shared so personally in the Crucifixion should share in the Resurrection. It was necessary that she whose body was united to Christ should share bodily in his triumph. This is nice. But it’s worth turning around the other way (and taking away the “necessity”). You could say that God “had to” bring her body to heaven if he had involved it in the Incarnation. But it’s more true to say the opposite: God wanted to bring her body to heaven, and so he involved it in the Incarnation. Etc. The Assumption isn’t an afterthought. It’s more like God’s main thought: he wants to bring Mary – and all of us – body and soul to heaven. He wants his Empire to extend that far, to save us in our entirety. And that’s why he did all those other things. That’s why he did the Incarnation and the Cross – so that we could reach the heavenly mysteries of August. We mustn’t forget those other mysteries – but we understand all of them better if we know that this is the final destination, and Mary is the firstfruits. The Transfiguration, the Assumption, and the Coronation are our Christian destiny. They are what it’s all about. They are the glory God has in mind when he enters into all those other mysteries of our faith. We should ponder these heavenly mysteries of August, dig deeper into them. Each of them has a surface layer: Jesus is shiny, Mary’s body went up in the air, she gets a crown. 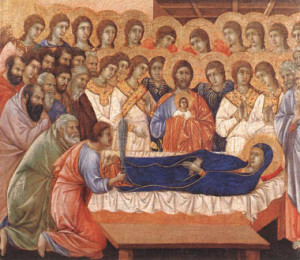 But each of these surfaces reveals the depths of the faith: Jesus’s humanity is filled with divinity; Mary participates fully, in every aspect of her person, in the glorious joys of heaven; everything is at the service of this mystery, everything comes together in the fulfillment prefigured in Mary’s coronation. 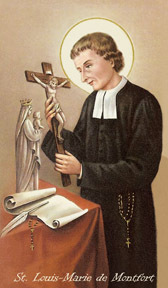 Let us renew our dedication to these heavenly mysteries of August – to the uttermost glory of the Empire of God. How could you focus your mind better on the August mysteries? What do we lose when we forget them? 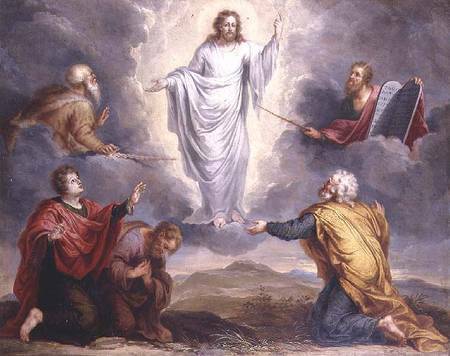 Two points about the Transfiguration, our feast today – which in the East and the older tradition was viewed as in some ways the greatest feast of all, the feast of the true identity of Jesus. First: His face changed in appearance and his clothing became dazzling white. At the Transfiguration, Jesus appears for a moment as who he truly is. “Behold, the dwelling place of God is with man” (Rev 21:3). “The kingdom of God is within you” (Luke 17:21). “The Word was made flesh and dwelt within us” (John 1:14). Jesus is true God and true man, the presence of God within man. What does that look like? The Transfiguration is a glimpse. A magnificent glimpse, because God is portrayed as pure light, and Jesus as a man full of that light. Like the burning bush, his humanity is not destroyed by the all-consuming fire of God’s presence. God’s presence shines out in his humanity. The word comes to confirm it: “This is my chosen Son.” And yet the Transfiguration itself shows forth what that word means: true God and true man. 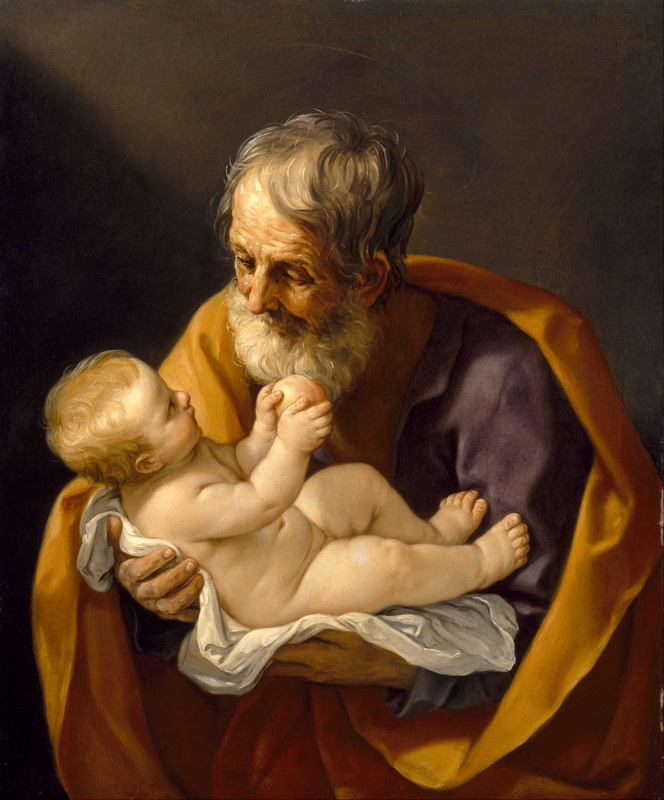 As the great simple hymn says, “we hail your body glorified and our redemption see.” One of the desert fathers said, “If you would, you could become all flame.” This is our redemption, this is the promise. Our humanity too will shine forth with the light of God. We will be the temple, the dwelling place of God. Here on Mount Tabor, for a moment, we get a glimpse. Praying Morning Prayer for the feast, my children pointed out the parallel to the reading from Revelation in Sunday night prayer: “They shall see the Lord face to face, and bear his name on their foreheads. The night shall be no more. They shall need no light from lamps or the sun, for the Lord God shall give them light, and they shall reign forever.” We hail your body glorified, and our redemption see. This is the gospel. This is heaven. This what shall be written on our own foreheads. Second: And when the voice came, Jesus was found alone. That’s how Luke says it, and that’s our reading this year. It makes even more simple the delicious simplicity of Matthew and Mark: and lifting up their eyes, they saw no one except Jesus alone. That means, too, “Listen to him.” We must let his words, his Word, penetrate us, because no other words, no imaginings, can do anything like justice to the enormous truth of the transfigured Christ. All our ideas fall short of his, of him. We immerse ourselves in his Word because no other words express the wild reality of the Transfiguration. We immerse ourselves in his Word because our whole redemption is to immerse ourselves in the transfigured Christ, the consuming fire and the burning bush. How do your ideals fall short of the Transfiguration? This past Friday and Saturday we celebrated the Sacred Heart of Jesus and the Immaculate Heart of Mary. These feasts go together: the fruit of the Heart of Jesus is the Heart of Mary, the source of Mary’s heart is Jesus’. But before we speak of these two hearts, we should speak of Jesus’ own two hearts. 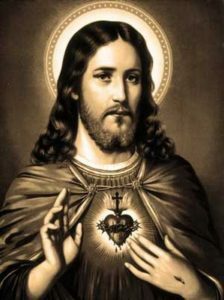 The Sacred Heart itself is a celebration of the union of God’s heart with man’s. The Sacred Heart is God’s heart beating in man’s, or man’s heart beating in God’s. This is the mystery of grace: the love of God poured into our hearts (Romans 5:5). St. Thomas makes a kind of analogy of grace. He speaks of the Incarnation as “the grace of union,” distinct from but analogous with sanctifying grace. Sanctifying grace enters our hearts to unite us to God. The grace of union is the deepest reality of Jesus. They are different, as the difference of being Son of God by nature and son by adoption. In the case of Jesus, it is inseparable from who he is; in our case, a change must come about, and it can be undone. But they are similar, for in each case it is the union of God and man. What happens in the heart of Jesus is what Jesus desires for us. What happens in the heart of Jesus is what happens in the heart of Mary: God’s love poured into our hearts, total union of God and man. The rosary is a kind of meditation on this union of the two hearts. It is a meditation, first, on the life of Jesus, of God’s love in the human life of Jesus — and most deeply, in his human heart. But it is a meditation, second, on Mary’s participation in these mysteries. What happens in the heart of Jesus is what happens in the heart of Mary. In the Eastern Church, they constantly rediscover the icon of the face of Christ, even tracing its outline with their fingers. In the rosary, we retrace the face of Jesus, the heart of Jesus, rediscovering over and over again his mystery, which is the mystery that he recreates in us. The Hail Mary is a meditation on the mystery of the two hearts. It has three acts, tracing three directions in the relation between these two hearts. 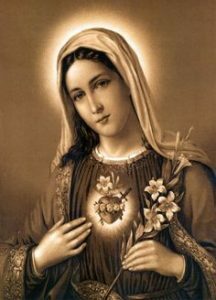 The first act commemorates the action of Jesus’s divine heart on Mary: “Hail Mary, full of grace, the Lord is with thee.” What does it mean to say Mary is full of grace? It means that the Lord is with her. Praying this prayer alongside the mysteries of the rosary, we see the heart of the Lord who is with her. The Lord – the Lord whose heart is on the cross, or in agony in the garden, or rising to heaven, or making wine at Cana, etc. – that Lord, is with Mary. The fruit of his presence is that his heart is impressed on hers. That is what “full of grace” means: he is with her, and acts on her. And what he brings about is a re-creation of his heart in hers. The second act commemorates the similarity of the two hearts: “Blessed art thou among women, and blessed is the fruit of thy womb, Jesus.” His blessing is her blessing. And she is truly blessed. She has all the riches that humanity can receive, the riches that set her above all her kind. And that is the blessing of the one who, as fruit of her womb, shares in her nature. He too, her child, has all the riches of humanity. The two hearts are alike. Finally, the third act commemorates Mary asking Jesus to share this favor with us: “Holy Mary, mother of God, pray for us sinners, now and at the heart of our death.” She prays for us, asks God’s blessing on us. But what blessings does she ask for? Well, she is holy – conformed to Jesus. Because her heart is like his, she asks for the blessings that he considers blessings, the blessings of the heart of Jesus. That is why we, who are sinners, so close to death, ask her to pray – because as sinners, we tend to ask for the wrong blessings, so forgetful of the hour of our death and focused on things that do not endure. She who is holy asks for the blessings of the heart of Jesus. And as his mother, mother of God, she has, not power over him, but influence – the influence he chose to give her, in uniting his divine heart to a human heart, becoming her child. In the mysteries of the rosary, we trace over and over the face of Jesus, the heart of Jesus – the heart he gives to Mary, giving her true likeness to his heart, so that she can beg the same blessing for us. What do the two hearts mean to you? This Sunday we celebrate the Feast of the Body and Blood of Christ. Now, the real day for Corpus Christi is the Thursday after the octave of Pentecost, that is, the Thursday after Trinity Sunday. Last week we were talking about octaves, and how a single feast is drawn out over a long time. 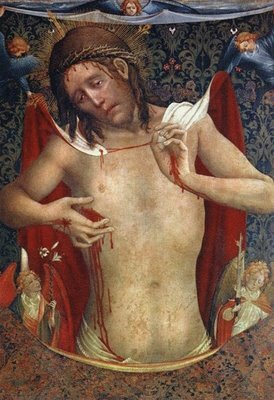 The reason we celebrate Corpus Christi on this Thursday is that it is the very next Thursday (not counting the weeks-long celebration of Easter) after Holy Thursday. Holy Thursday contains so much. 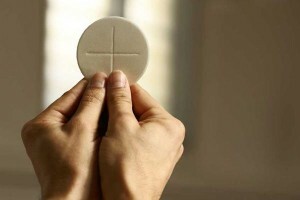 On this “next” Thursday, we separate out just the element of the Eucharist. In the three-year cycle of the post-Vatican II liturgy, we get different angles on this liturgy. This year, we focus on thanksgiving. Melchizedek is portrayed as one of the models of offering perfect sacrifice – and a model that helps explain the others. Now, that’s surprising, because in our reading this Sunday, we see that his sacrifice hardly fits our definition of sacrifice. “Melchizedek, king of Salem, brought out bread and wine, and being a priest of God Most High, he blessed Abram.” He invokes God as “creator of heaven and earth . . . who delivered your foes into your hand” – but he doesn’t destroy anything. Doesn’t sacrifice mean death and destruction? The tradition’s answer is, no it doesn’t. Sacrifice is an act of thanksgiving and worship, manifested with material things. We have a fine model of sacrifice in the American holiday of Thanksgiving. The turkey (one hopes) does not get burned, it gets eaten. And yet that sacred banquet is itself an act of giving thanks to God most high, creator of heaven and earth, who provides and protects and gives us a place of rest. Melchizedek gives thanks and praise, as we do in the Eucharist – it is right and just, our duty and our salvation, always and everywhere to give thanks and praise, which is why it is called Eucharist, thanksgiving. The Gospel reading this Sunday is also surprising. It is not the Last Supper – we hear about that only in the Epistle. It is the feeding of the five thousand. Now of course, in John 6, that apostle takes the occasion of the multiplication of loaves to give us Jesus’ central discourse on the Eucharist. But this year we read Luke. All we have is Jesus: “looking up to heaven, he said the blessing over them, broke them, and gave them to the disciples to set before the crowd.” But the language is surprisingly reminiscent of the Mass: “and with eyes raised to heaven to you, O God, his almighty Father, giving you thanks, he said the blessing, broke the bread and gave it to his disciples.” That line, “with eyes raised to heaven” isn’t in any of the accounts of the Last Supper – the Roman Canon takes it from the multiplication of the loaves. What are we to make of this? Again, the deeper point is Eucharist, thanksgiving, not destruction. Jesus gives them (as John tells us he said over and over at the multiplication of the loaves) not the bread of death, but the bread of life. He feeds them with finest wheat – his very life – and they are filled with praise and joy and thanksgiving. Our epistle is 1 Corinthians 11, where Paul gives his own account of the Last Supper. He tells us the Eucharist was established “on the night he was handed over,” and “as often as you eat this bread and drink this cup, you proclaim the death of the Lord until he comes.” Yes, it does call to mind his death – but as we await his coming. This eschatological aspect of the Eucharist reminds us that he is not dead, he is victorious. His death is the mystery we pass through on the way to his life and triumph. And so “this cup is the new covenant in my blood,” the chalice, as the Roman Canon says, “of everlasting salvation.” We are filled not with death, but with “every grace and heavenly blessing.” We celebrate his triumph with hymns of praise and not with destruction, but with a festal banquet. The Eucharist is joy. How could you express greater thankfulness to God? This Sunday we celebrate the Trinity, the most obscure but also most glorious mystery of our faith. Historically, this feast has two origins. First, it is the Octave of Pentecost. In the early middle ages, there grew a practice of recelebrating a feast one week afterwards, and every day in between. 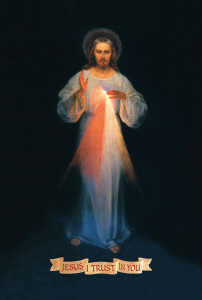 Divine Mercy Sunday is the Octave of Easter: it is like the whole week repeats the glory of Easter, and the liturgy even says that “today” is Easter throughout. One day cannot contain its glories. Christmas, too, has an octave. Pentecost was the third to get an octave – and after that, they started giving octaves to all sorts of lesser feasts. Now, Easter season is the octave of octaves. Pentecost, the Sunday after seven weeks of seven, is the final day of this super-octave. It seems to be in for this reason that they dropped the Pentecost octave in the reform of the liturgy after Vatican II – we should think of Pentecost as part of Easter, not a separate season. 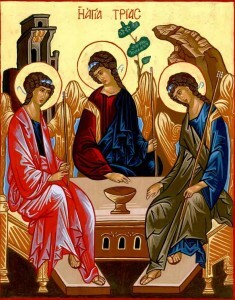 But we retain Trinity Sunday as kind of a reduplication of Pentecost – that is, as a celebration that Jesus the Son of God, the victor of Easter, and the Holy Spirit, whom he pours into our hearts, are truly God from God, light from light, true God from true God. There was also an independent tradition that at some places had a Trinity Sunday as the final Sunday before Advent, as the culminating feast of the Church year. The readings at the end of the year point to the end of time, and the readings of Advent to the second coming of Christ. Thus a feast was added to ponder the final mystery, the mystery in which all things culminate, the life of God. The Gospel had the Baptismal formula from the Great Commission, but juxtaposed with Romans and the other prayers of the day, the point seemed only to be that we are baptized into the mystery of God. That is part of what Trinity Sunday does: it just leads us to think about God. It is the feast of God – and the feast of the mysteriousness, the unthinkability of God. Preachers are sometimes scared of Trinity Sunday. But we should dwell on that: that we cannot understand God is precisely the point. 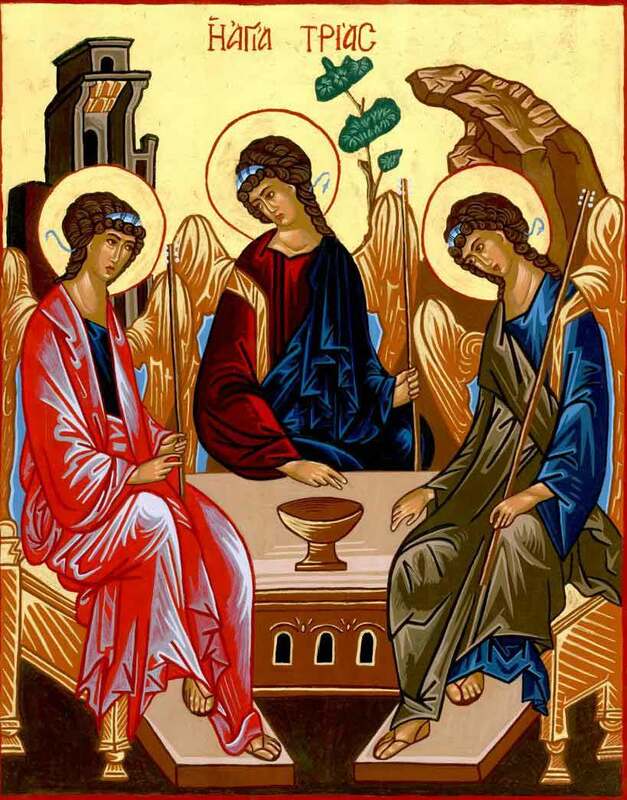 And yet the readings of the reformed liturgy do lead us into a meditation on the three persons. The first reading, from Wisdom, talks about the wisdom, the Logos, who was in the beginning with God, through whom all things were made (as John says in his prologue). Although the tradition would probably focus on the Son, you can think of it speaking of the Spirit, too: “When the Lord established the heavens I was there, when he marked out the vault over the face of the deep,” etc. We ponder, at the end of this Easter season, the true identity of the Son and the Spirit. True God, in the beginning with God. The first reading from the New Testament, from Romans, is more specific. “We have peace with God through our Lord Jesus Christ, through whom we have gained access.” The whole point of the original controversies about the Trinity, in the fourth century, was that Jesus can only give us access to God because he is God – and man. A bridge must reach to both sides: if he is less than God, he cannot connect us to God. But he is that great, that awesome – and our redemption is that great. So too the Spirit: “the love of God has been poured into our hearts through the Holy Spirit that has been given to us.” Not something less than God, but God himself, as love. How great is our dignity! And this is our hope even in “afflictions”: through the trials of life, we are in union with God himself, nothing less. Most specific of all, of course, are the words of Jesus, from the prayer at the Last Supper in John’s Gospel. The Spirit “will take from what is mine and declare it to you,” and “everything that the Father has is mine.” Jesus can lead us to the Father because he is true God, nothing less. The Holy Spirit, poured into our hearts, unites us to Jesus because he is true God, nothing less. How great is the mystery of God! And how great is our Redemption! Glory to the Father, and to the Son, and to the Holy Spirit! How would your day be different if you really believed that God himself was at work in your heart?